Okay, this isn’t exactly a lost pet flier per se. But we all have lost a beloved toy at one time or another as children (or adults). I know I did. 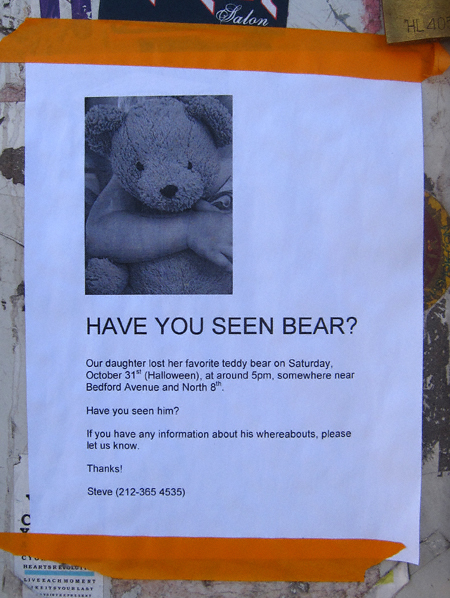 Let’s bring “Bear” back home north Brooklynites!